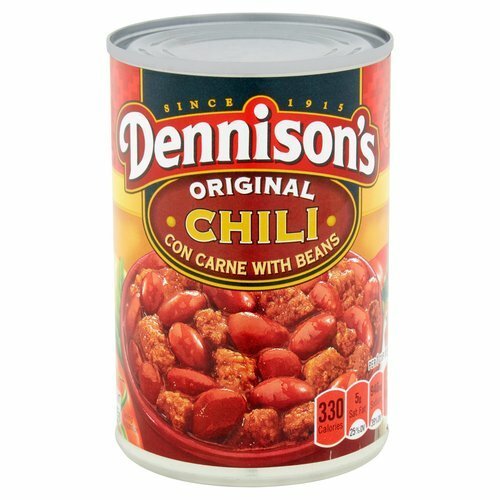 Dennison's Original Chili Con Carne has all the traditional taste you expect from a slow-cooking chili in a quick, easy-to-prepare can. 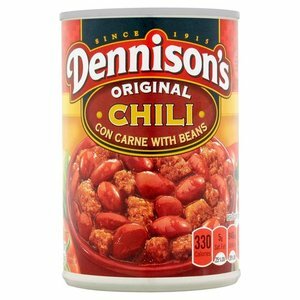 Dennison's Chili is made with wholesome ingredients such as vine-ripened tomatoes, premium pieces of meat for protein and beans for fiber. 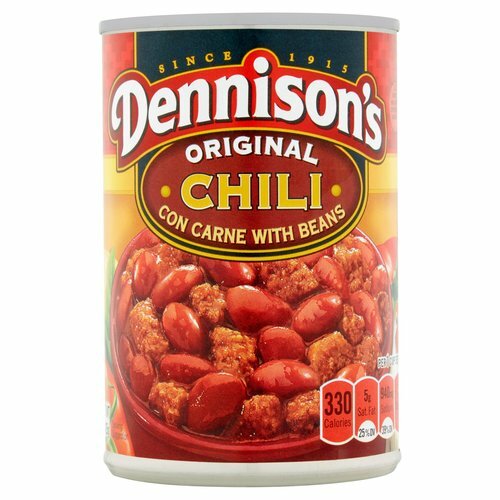 It's a delicious, easy meal you can enjoy any time.Dennison's is known as The Stand Up Chili, and for good reason! Our chili is so thick, we like to say you could stick a fork in it and the fork would stand at attention. 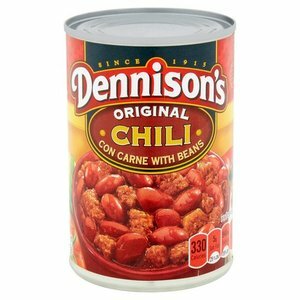 If you enjoy thick, tasty chili, Dennison's is for you. 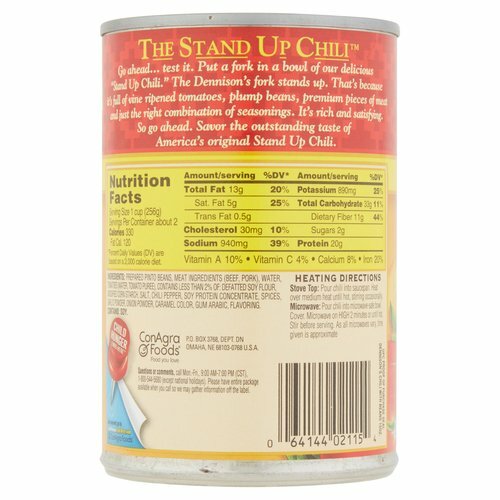 Stove Top: Pour chili into saucepan. 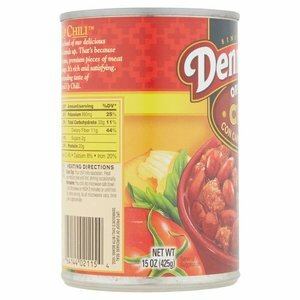 Heat over medium heat until hot, stirring occasionally. Microwave - From Ambient - Pour chili into microwave-safe bowl. 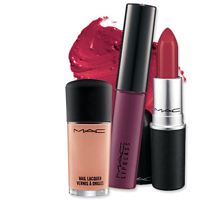 Cover. 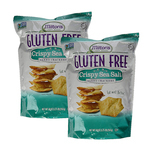 Microwave on High 2 minutes or until hot. 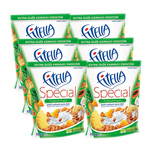 Stir before serving. As all microwaves vary, time given is approximate. 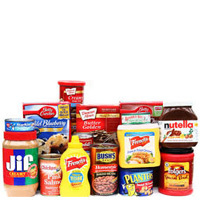 Prepared Pinto Beans, Meat ingredients (Beef, Pork), Water, Tomatoes (Water, Tomato Puree), Contains less than 2% of: Defatted Soy Flour, Modified Corn Starch, Salt, Chili Pepper, Soy Protein Concentrate, Spices, Garlic Powder, Onion Powder, Caramel Color, Gum Arabic, Flavoring.